For 25 years, we’ve been offering the largest, most comprehensive nutrition schooling. Now we’re expanding to help you learn more in your areas of interest. Each of these courses includes a wealth of information, world-renowned experts, and coaching support. Explore the options below to enroll or join the priority list. Do you want to reach more people with your message, boost your credibility, attract new clients, establish yourself as an expert—or all of the above? Then this 6-month, 20-module course is for you! The Launch Your Dream Book course helps demystify the intimidating work of writing, publishing, and promoting a book. By offering effective, simplified, actionable content that students can work through at their own pace, the course will support you to become a new author, whether your dream book is a self-help, children’s book, cookbook, memoir, or novel. You asked for it, we’re providing it! By popular demand, we created the Hormone Health Course, a 24-module course designed exclusively for IIN students and graduates who want to support both male and female clients in achieving better health with diet and lifestyle improvements that can promote hormonal balance. This course explores the roles of endocrine system and its hormones, its relationship with other bodily systems, common hormonal imbalances and their related conditions, and ways to support hormone health through bio-individualized programs of diet, supplements, and natural remedies. Protocols, done-for-you handouts, and skill building activities are included to help you apply what you learn to your work with clients. 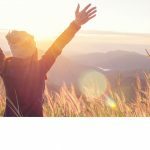 The Emotional Eating Psychology Course is designed specifically for IIN Health Coaches who are interested in helping clients navigate and find freedom from emotional and compulsive eating patterns. This 24-module course teaches a variety of coaching techniques and strategies to guide clients toward a healthier relationship with food and their bodies for weight loss and improved health. Students will explore their own relationships with food, and apply the information from this course through case study examination, reflective exercises, and guided practice. Topics covered include emotional eating vs. eating disorders, coping mechanisms, mindset, the causes of cravings, overcoming binge eating, body image, emotional healing, and much more. Looking to refine your coaching skills and sit for the International Consortium of Health & Wellness Coaching certification exam? Upon completion of this six-week, webinar-style course, you’ll be eligible for the ICHWC-certifying exam. We’ll provide you with effective coaching techniques – from establishing a client agreement and building trust to learning how to track your clients’ progress so they can reach their desired goals. IIN’s Coaching Intensive Practicum is one of the few approved transition programs that help prepare you with the knowledge and coaching skills you need to take the exam. With so many ways to market yourself, the business part of health coaching can be complicated. That’s why we have this course. The IIN Advanced Business Course is a yearlong program to help you learn the methods that top performing IIN Health Coaches use to reach their ideal clients, grow their business, and make an impact on the world. Clear and straight-to-the-point content delivered weekly will help you build every aspect of your business, step by step. As a student, you’ll receive done-for-you marketing materials, scripts, and templates. Plus, you’ll have 24/7 access to allow you to work at your own pace and amazing, personalized support from a team of dedicated professionals. Did we mention you’ll get group coaching calls with our Business Course staff? Are you curious about how to create a healthy gut environment to promote overall health? Join us in for our popular Gut Health Course! As your largest sensory organ, your gut affects nearly every system and organ in the body. Research has linked gut health to a host of chronic conditions, and many believe it holds the key to physical and emotional wellbeing. In this 24-module course designed for current IIN students and graduates, we’ll explore the gut’s role in the body, its connection to the brain, and how you can leverage this information as an IIN Health Coach to inspire optimal health in yourself and your clients. Done-for-you materials are included so you can get out there and support your clients! This course will take your coaching skills to a whole new level! Twenty jam-packed modules informed by coaching psychology experts address issues like motivation, limiting beliefs, perfectionism, resistance, self-sabotage, and readiness to change. You’ll learn techniques for improving your listening skills, forming deeper relationships with your clients, holding them accountable, expertly handling difficult emotions, and working with groups. In the process, you’ll experience your own self-growth and transformation by exploring the fears, beliefs, and biases that hold you back in your coaching practice. Guided practice opportunities will create a safe, supportive setting to sharpen your skills, while personal and professional development exercises will inspire you to walk your talk as an IIN Health Coach and build an authentic coaching practice. International Health Coach University (IHCU) offers the opportunity for students, who already hold a bachelor’s degree, to gain their master’s degree. This graduate level program provides practicing Health Coaches with an advanced education to further their skills and refine their practice. Gaining a master’s degree not only provides additional qualifications and credentials to the practicing Health Coach, it also lends more rigor to the health coaching profession as a whole. The 36 credit program is currently open to Health Coaches who have graduated from IIN’s Health Coach Training Program and have successfully passed the IAHC exam. HCTP graduates receive advance placement for twelve credits of the IHCU coursework, making completion time approximately 16 months.